One of the more controversial areas in the stem cell field has been over a Sasquatch-like stem cell type that only a handful of researchers have been able to find and study: very small embryonic-like stem cells (VSELs). A Sasquatch is a generally thought to be mythological creature from the Pacific Northwest area of the US where I grew up, also sometimes called Big Foot. Some folks believe in the Sasquatch. Some people believe in VSELs too. I’m more interested in what you think about VSELs than stating my own opinion at this point. Please take our poll above. As a kid growing up I did not believe in Sasquatch, but I still thought it was a cool, fun idea… and honestly as a kid out in the woods hiking or camping at night I sometimes wondered…. 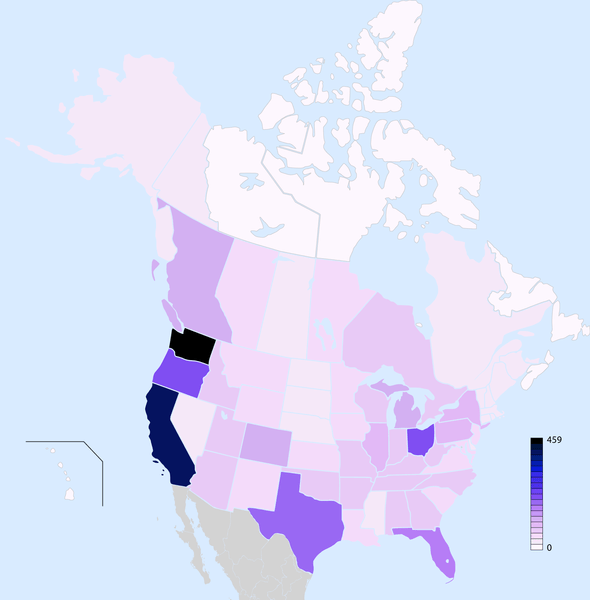 You’ll note in the map of Bigfoot/Sasquatch sightings at right from Wikipedia that my home state of Washington is the epicenter! But clinically-related science cannot be based on outlandish, fun ideas that lack data, right? One hopes so. So are VSELs real and clinically important or more like Big Foot? And a skeptical newsy piece in Nature by Alison Abbott entitled, “Doubt cast over tiny stem cells”. VSELs are part of the portfolio of the stem cell biotech NeoStem (see my interview here with CEO Robin Smith, which includes mention of VSELs) and NeoStem has received almost $5 million in US government grants, an astonishing amount, to study VSELs, even as the stem cell field has serious doubts about the cells and other stem cell researchers struggle to get NIH or DoD funding. 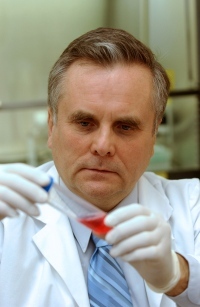 Mariusz Ratajczak (see image at left from Nature) is the main proponent of VSELs. He’s facing a lot of heat today. That is very harsh for a public statement. And other researchers are quoted who believe very much in VSELs. “I don’t see the controversy — we have seen bone grow” from VSELs in mice, says Russell Taichman, a researcher in dental medicine at the University of Michigan in Ann Arbor. Taich­man will be running the Neostem-backed VSEL trial, which will look for bone regrowth in dental patients. Announced in April, the trial is awaiting approval by the US Food and Drug Administration. … Józef Dulak at the Jagiellonian University in Krakow, failed to find traces of VSELs in his experiments. When he published his findings in May4, Ratajczak tried to force him out of the consortium. Dulak, like Weissman, found no molecular signatures associated with pluripotency in any mouse bone-marrow cells smaller than 7 micrometres across. In the end, science will prevail and tell us if VSEL are real or not, but there is no place for politics, religion, or retaliation here. Again, tell us what you think in the poll above about VSELs. The other poll on the question of the reality of VSELs, also being conducted right now, is the stock market, where NeoStem’s shares are down a bruising 16% today on news of the Weissman article. Bill- I liked Irv’s article. Interestingly, StemCells, Inc (Irv’s company) had a spike in trading on the 23rd and 24th. Investors seem to be reading the literature…whatever will they think of doing next? “…one cell could “deserve” a “stem cell” “title” on the basis of what it is able to do and not what it looks like. With that respect, the pluripotent nature of VSELs could be judged and proved only on the basis of their potential to differentiate into functional cells of all tissues (meaning of term “pluripotent”)”. Thus, if one is referring to a “stem cell” only functional definition is able to confirm the existence of this entity. Of course, this way relies on complex and time-consuming in vivo and ex vivo approaches, it is tedious and time consuming. It is, however, unavoidable. It’s always a warning sign when (1) no independent lab can reproduce a result that claims to be a breakthrough in the field and (2) the lab that made the discovery publishes about 10X more review articles than primary research.